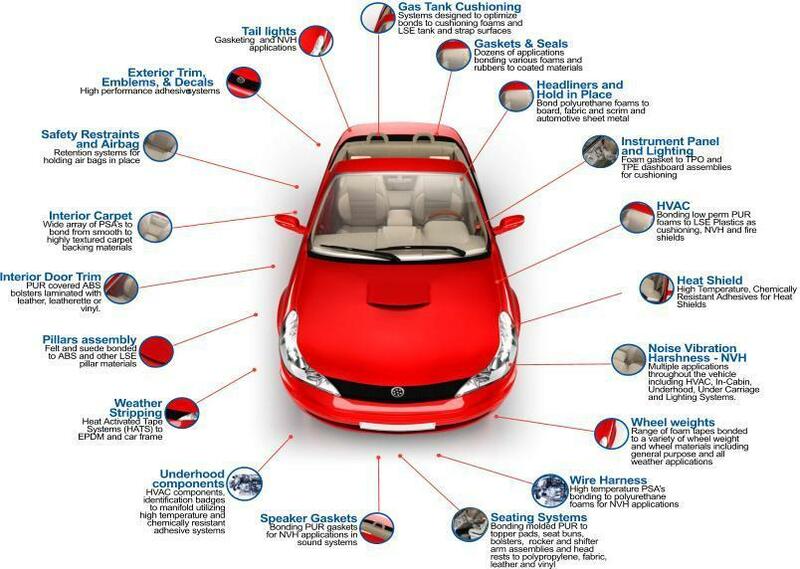 Adchem Corporation is a leading manufacturer of high performance adhesive tape systems for under hood, in-cabin and under-carriage automotive applications. Our adhesives are specified hundreds of current applications for gaskets, seals, assembly hold-in-place and both interior and exterior surface mounting for Ford, GM, Chrysler, Honda, Nissan and other major automotive manufacturers. Working closely with Tier 1 and 2 suppliers, fabricators and converters, Adchem continues to set the standard for high performance applications in leak prevention, weather seals, foam fabrication, vibration damping in demanding all-weather conditions.